First, tell us a bit about yourself and what your experience at Stanford was like. I graduated from Stanford University in 2013 with a Bachelor’s Degree in Science, Technology, and Society and a minor in Spanish. I was also a part of the Women’s Soccer Team and really enjoyed my time as a student athlete. Stanford was the perfect combination of academics and athletics to challenge myself and grow. It is such a special place with smart and passionate people that push you outside of your comfort zone to grow, while also being supportive. I am grateful for the friendships I’ve made and continue to be proud to be a Stanford alum. I now work as a Marketing Manager at Costanoa Ventures, an early stage venture capital firm based in the Bay Area. You played professionally in the National Women’s Soccer League (NWSL) while starting to work for Costanoa Ventures. How were you able to do this? I was fortunate enough to work part-time while I was playing professional soccer for the Chicago Red Stars and Canada Soccer. Greg Sands, Founder of Costanoa Ventures, offered me the opportunity to help with the firm’s PR, content, and social media strategy. He knew my situation and was willing to work with my schedule. After practice, lifts, film, and treatment, I was able to continue to develop and learn in this role. I am super grateful Greg provided me the opportunity and mentorship. Can you elaborate on what your professional experience was like? Playing professionally in the NWSL was an amazing experience. I played with and against some of the best soccer players in the world-- Abby Wambach, Shannon Boxx, Marta, and Alex Morgan...just to name a few. The power, technique, and speed of game was on a completely different level than college soccer and it challenged me to improve new areas of my game. I’m incredibly grateful for the opportunity and time I spent learning-- both on and off the field-- from such strong and talented athletes. At what point did you say to yourself that it was time to move on from the NWSL? I played professionally for three years in the NWSL as well as internationally with the Canadian National Team. After my third season, I sat down to reflect if I wanted to continue to play. I was happy with what I achieved and was ready to move on. My family played a huge role in helping me figure it out and support me as I explored what I should do next. Can you talk about the process of moving away from professional soccer? Was it a seamless transition working for Costanna Ventures? When I was playing soccer, the next step was always clear: Make the state team then tryout for the regional team and then the national team; after high school, play for a great college and then make a pro team... After I “retired” the career options were endless and next steps were so much more unclear. I talked to a lot of people to try to figure out what my next "passion" would be. I met with many former Stanford student athletes, friends, and family and learned more about their career paths and current roles. I ended up interviewing with a few different companies, but ended up working at the venture firm I was consulting for while I was playing professionally. In these conversations and connections, were there things you were prioritizing when thinking about what was next? Similar to any soccer team I wanted to be a part of, I wanted to work in an environment where I was learning every day, where I can try new things because failing was OK, the team is collaborative and constantly giving and receiving feedback. I also wanted to work for a company with a clear mission. Costanoa is committed to supporting founders and teams to grow the company of their dreams. 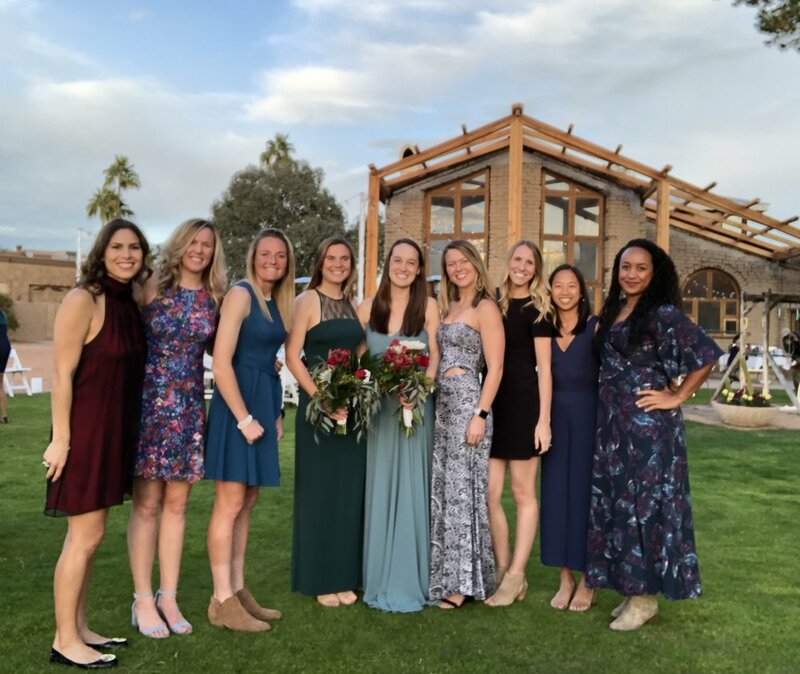 Were there any challenges about the transition after joining Costanoa full-time and no longer being a full-time athlete? The toughest part was not seeing my friends (aka teammates) every single day. Being on a sports team and going through it all together is so unique-- the wins and losses, the hard work every single practice, entertaining ourselves during preseason when no one else is on campus, to life events, and so on. I also missed the constant competition. What is it about sports that you feel helped prepare you to succeed at Costanoa? Playing sports taught me so much and has helped in the “real world” from managing my time, setting realistic goals and a plan to achieve them, being open to trying new things and failing, and accepting constant feedback. Playing sports also taught me how to work with other people-- recognizing your team members strengths and weaknesses, learning how best to communicate with others, and knowing my role on the team. And how has this translated to Costanoa? Costanoa is a boutique firm so our team is small by design. I get to be involved in many parts of the business outside of my normal marketing responsibilities. I am surrounded by experienced executives and meet with passionate founders building innovative products. It is truly rewarding to be a part of Costanoa’s mission to enable entrepreneurs to build and grow their businesses. Greg has also built an inclusive culture pushing everyone to challenge themselves to learn and grow. Attend office hours proactively and get to know more professors personally. My dream job would be opening a restaurant and being head chef.